Local musician Chelsea Wolfe chats with us about her new album, Pain is Beauty, and ponders six places in LA that illustrate the idea. Photograph: Zohn MandelClick through the slideshow above for a tour of Wolfe's six places in LA where pain is beauty. 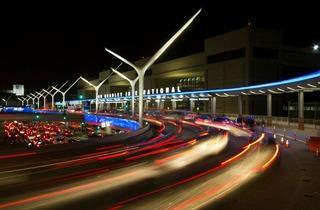 &nbsp; Time Out Los Angeles: What originally brought you to LA? 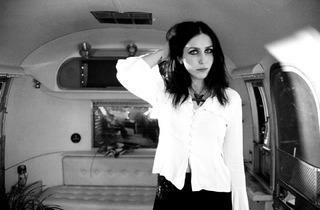 Chelsea Wolfe: I grew up in a town on the outskirts of Sacramento, in an old suburb with an amazing library and small railroad museum, which I loved. We lived across from the train tracks and I always liked the sound of the trains. I moved to LA three years ago because it's a great place to get work done and to create with like-minded people who want to constantly move forward, like my LA-based record label/management company Sargent House. Time Out Los Angeles: How long have you been performing? 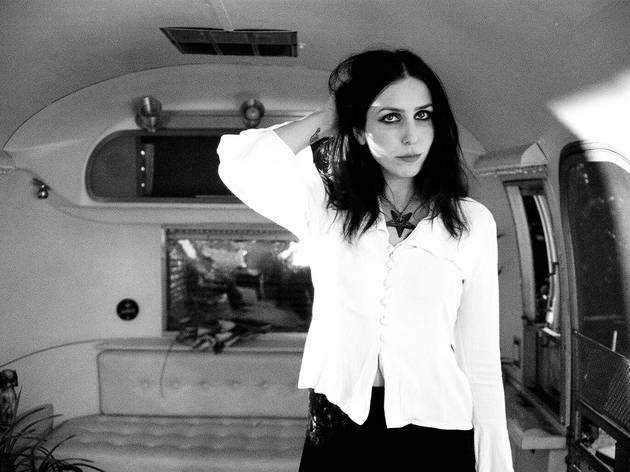 Chelsea Wolfe: I don't know... 6 or 7 years now, I think? I've been writing and recording music since I was nine, but never imagined I'd be a performer. I was painfully shy growing up and never wanted to be the center of attention. Anyway, friends eventually encouraged me enough to start playing my songs live. It's taken me a long time since then to feel even remotely comfortable onstage. 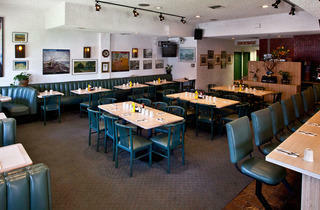 Time Out Los Angeles: Are there places in LA that you feel especially comfortable performing? Chelsea Wolfe: Playing at the Unitarian church was a treat&mdash;I like intimate settings. I'm playing at Royce Hall at UCLA November 16th, and I've heard that venue is really special. Time Out Los Angeles: What's the story behind your new album, Pain is Beauty? Chelsea Wolfe: When I was writing this album I felt very inspired by the dark and intense sides of nature and the reflection of that in humanity. I read about forest fires and how they create room for new growth on the forest floor. It's like that in our lives too&mdash;life inevitably brings hard times our way, but if we are strong and go through the fire we can come out on the other side stronger and with a more beautiful perspective. There are stories on this album about natural disasters, tormented love, family and overcoming. Time Out Los Angeles: You just got off tour in Europe with Russian Circles&mdash;what's next? Chelsea Wolfe: Some recording in the desert, some projects I can't talk about quite yet, writing and spending some time with family up north for the winter. &nbsp; Chelsea Wolfe performs November 16 at Royce Hall, and her new album, Pain Is Beauty, can be purchased on her website. 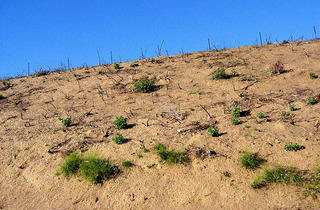 Photograph: Courtesy Wikimedia CommonsLancaster, CA "Lancaster is North of Los Angeles, right before the Grapevine. My record label, Sargent House, bought some property out there to eventually turn into a recording studio and creative space. It's a strange contrast out there of farmland and desert: One side of the road is dry wasteland and the other holds green fields and new crops. 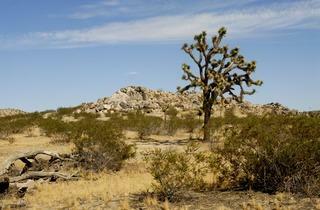 I love contrast and I love the openness of the desert. The studio is still being built but we've already taken advantage of the beauty of this place and filmed and done photo shoots there. 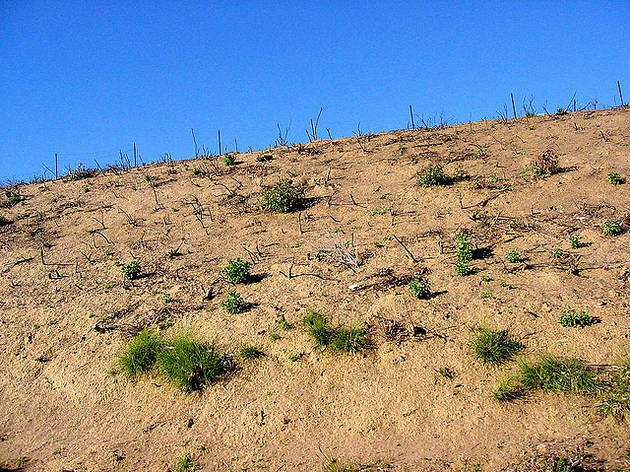 On the property, there is an expanse of open terrain with an abandoned boat half-buried in the dry dirt. It reminds me of the way the planet has changed and taken shape over millions of years; it reminds me that valleys are really dried-out ancient seas and it makes me think of the extremes in nature. 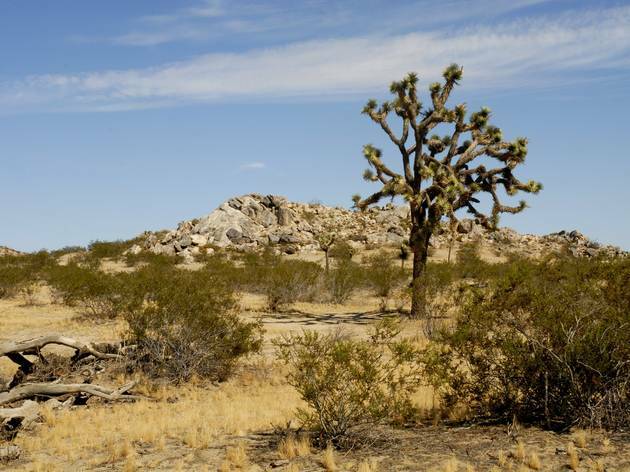 If you walk a minute to the left of this open space with the small boat, there is a grove of Joshua trees and sand dunes&mdash;it's like you're transported onto a different planet when you arrive in this spot, it's hard to believe. It's a daunting and comforting place all at once." 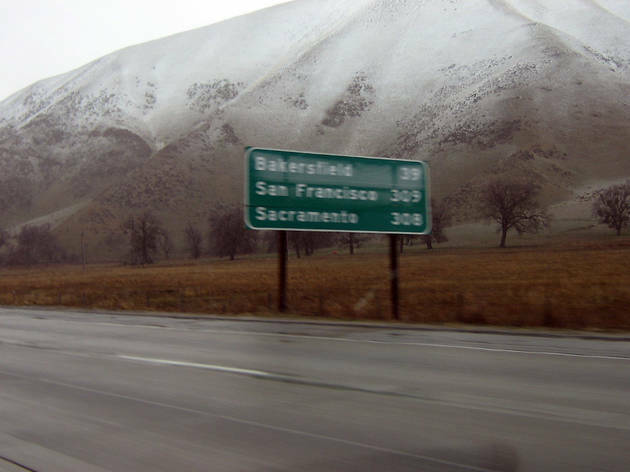 Photograph: Matthew GilbertGrapevine, CA "If you keep driving past the exit that takes you into Lancaster's long roads to nowhere, you'll inevitably drive over the limbo of mountains that is "the Grapevine." I have come to love and hate this range, this hour of time in a drive that is either bringing me home to Northern California or "home" to my shack outside of Downtown Los Angeles. When I moved to LA, just as I passed through this last stretch in the evening, the sky was a light purple color and the lighting put on quite a display. 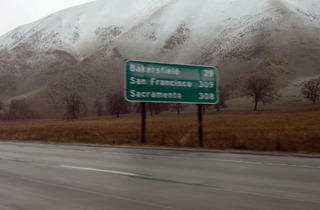 The next time I encountered the Grapevine it was for a short tour that took me in my favorite direction, north, and into my favorite season, winter. I never knew those mountains could look so cinematic and majestic covered in snow, and I learned to embrace this strange passageway from Southern to Northern California." Photograph: Courtesy the Dunes InnDreams Caf&eacute;, Hollywood "My bandmate and musical partner Ben Chisholm has a thing for diners. He's helped me come to appreciate this dying culture. A while back, we used to share a giant red Dodge he dubbed "Big Red." One day, he dropped me off at my friend and photographer Charlene Bagcal's place in Hollywood, and while Charlie and I were shooting, Ben took Big Red and found a diner nearby called Dreams Caf&eacute;. 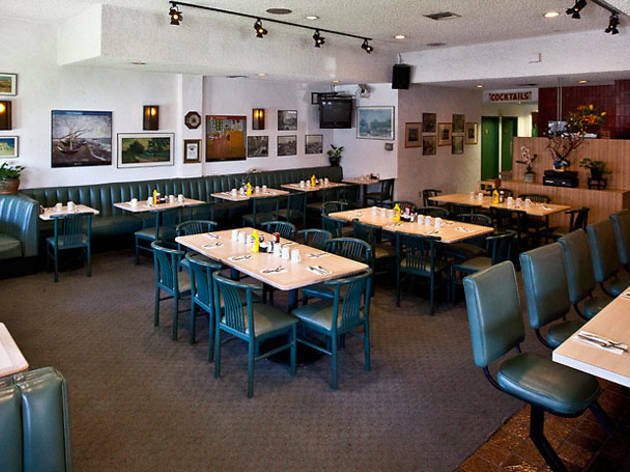 There is still a group of older folks who came to this diner as regulars, not giving up on that slow, patient way of communication&mdash;no phones, no texts, no emails, just showing up at the same time at the same diner each day and finding where it leads them." Photograph: Ray SlakinskiForest fire remnants, Malibu "There are some burnt hills across the street from a beach in Malibu where I recently filmed part of a music video/short film with amazing director, Mark Pellington. The hills and trees were burnt from a small forest fire, and the colors that fire produced were magical. Deep grays and browns with small patches of red and new-growth green. We filmed there for a song called "Sick" and I wore a silver dress. My hair was light and bleached from filming 14 hours in the desert the day prior, so I matched the landscape. Fire is cleansing in its own way." 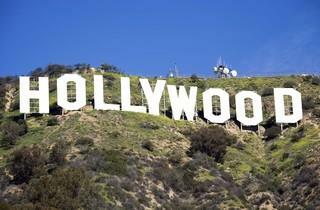 Photograph: Courtesy Hollywood Sign Trust. 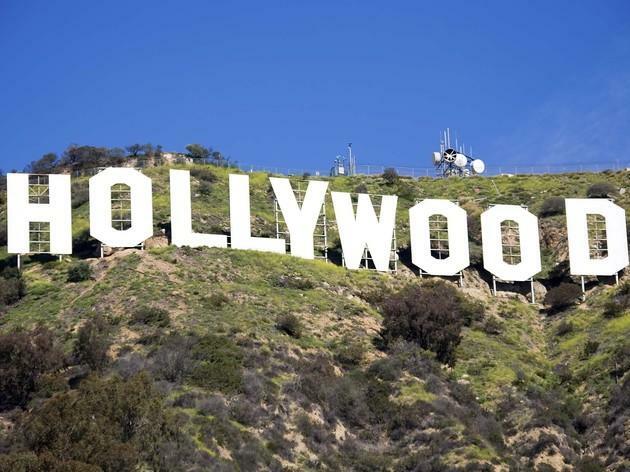 All rights reserved.Hollywood sign, Hollywood "One of the first places I wandered to when I moved to LA was the lookout point beneath the Hollwood sign. It's iconic and symbolic of found and broken dreams; of the dark glamour of the spotlight and of dying young. I went there to take some photos in memory of Trish Keenan, singer of Broadcast, who had recently passed away fairly young from cancer. I had only just discovered Broadcast's music and really fell in love with the calm in Trish's voice. There is a photo of her&mdash;arms raised with an expanse of sky behind her&mdash;that I was trying to re-create in my own way to send some love towards this woman. Also, the lookout point has a great view, of course, but it's actually not always so beautiful: Last I saw, the Silverlake reservoir was covered in floating rubber spheres to prevent the sun from turning the water into a toxic wasteland or something. The world is completely fucked up and dirtied and amazing, and this famous lookout point is a great place to contemplate it." 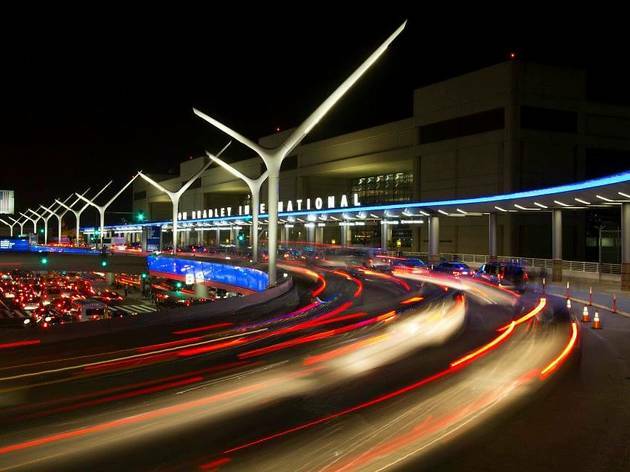 Photograph: Courtesy Los Angeles International AirportLos Angeles International Airport, Westchester "LAX has become a home away from home, the more my band and I tour. I feel so lucky to be touring, but this airport is a place that does not always understand me and I don't always understand it. It's a portal to an aluminum tube that shoots me into the air and creates a temporary new reality. I am a person who loves water, loves the earth, loves to be grounded, but I don't love to be in the air. Despite that, it brings me a new perspective and it's incredible to look out the window when you're flying over somewhere like Greenland, and you can see the glaciers from above. And of course that sea of clouds you encounter when the plane hits 10,000 feet is something that could make even the most sullen person happy."